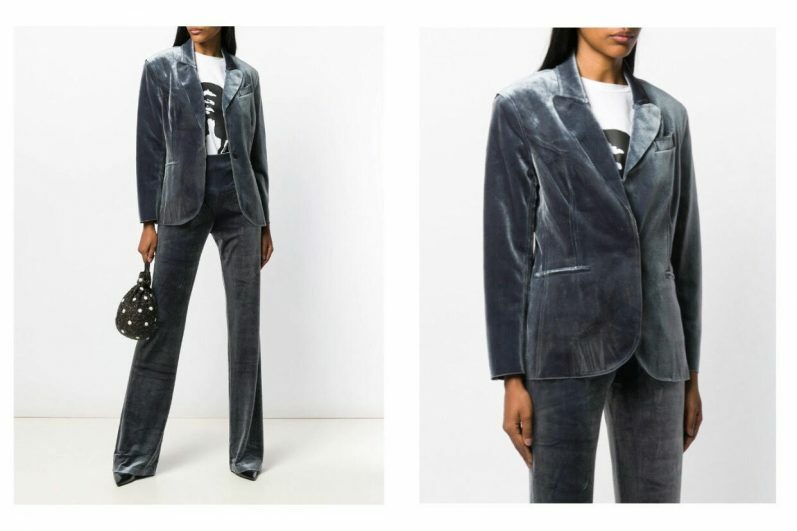 As the 80s continue to revive our wardrobe with their structured silhouettes, corduroy and leather, suiting it up either with skirts or pants, will take us effortlessly from the office to an evening gallery opening. 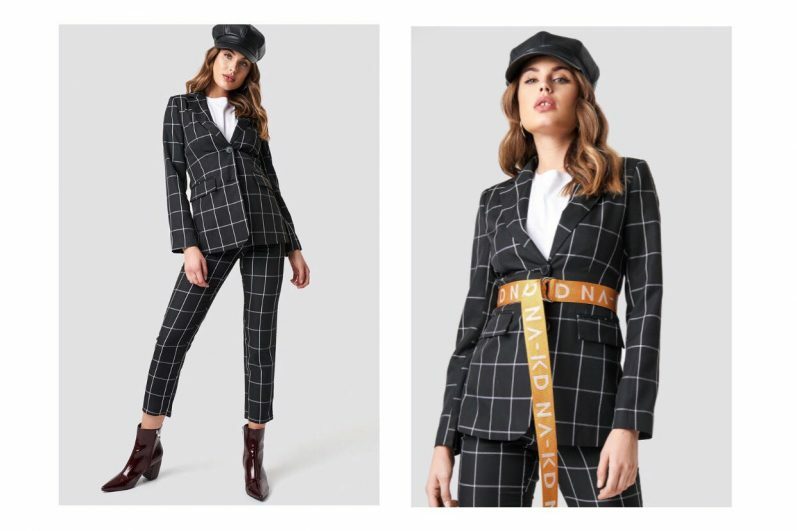 Women’s suits will take over our wardrobe this winter. 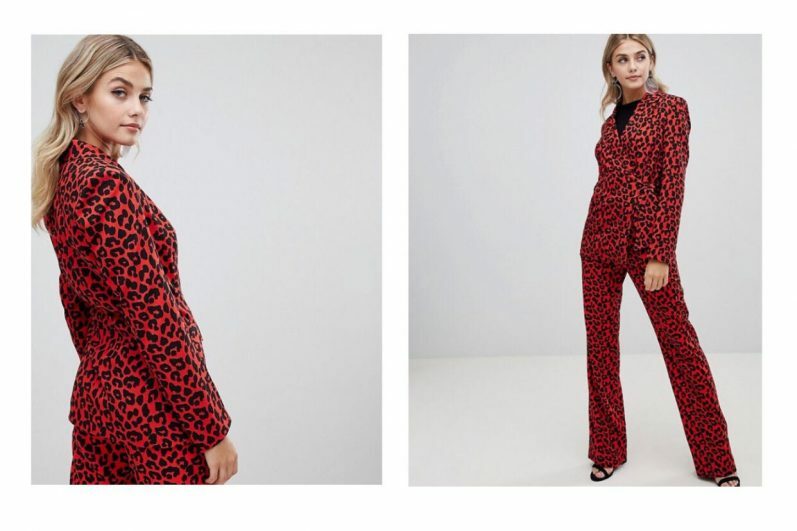 They have evolved since Yves Saint Laurent first introduced the smoking suit in 1966, designed for a woman’s body and followed a year later with the pant suit. 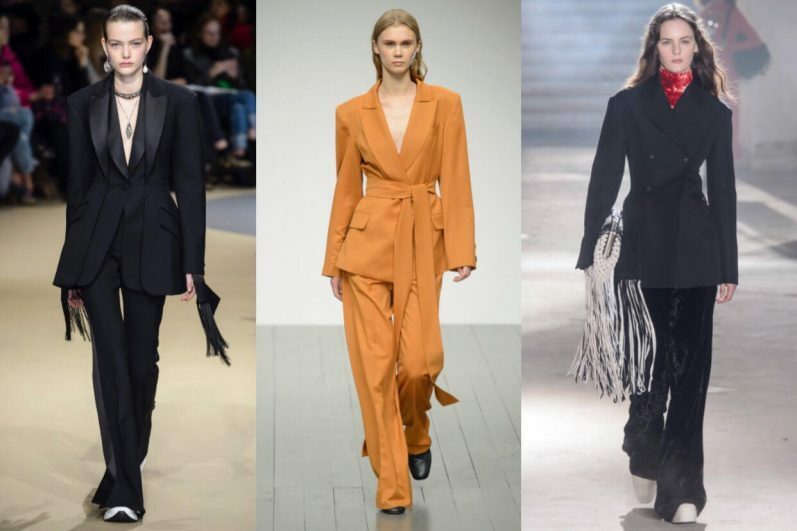 This AW18/19 highlight your waist and define your shape in your structured and shoulder wide blazer, either with a self –tied belt or a corset as seen by Alexander McQueen and Proenza Schouler. 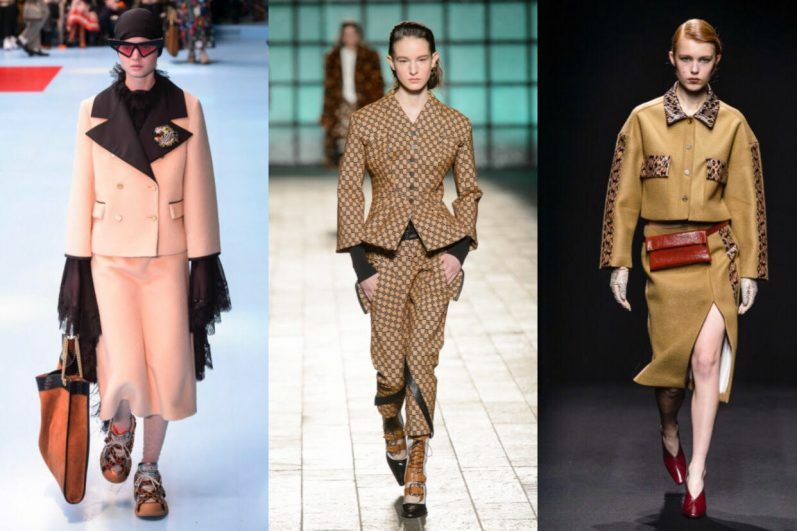 Pants are fluid, elongating your silhouette whether you choose to be casual with sneakers (Alexander McQueen, Gucci, Hogan, Off White), edgy with cowboy boots (Fendi, Miu Miu) or pure with pumps (Gucci, Saint Laurent, Jimmy Choo, Aquazurra). Retro is back! 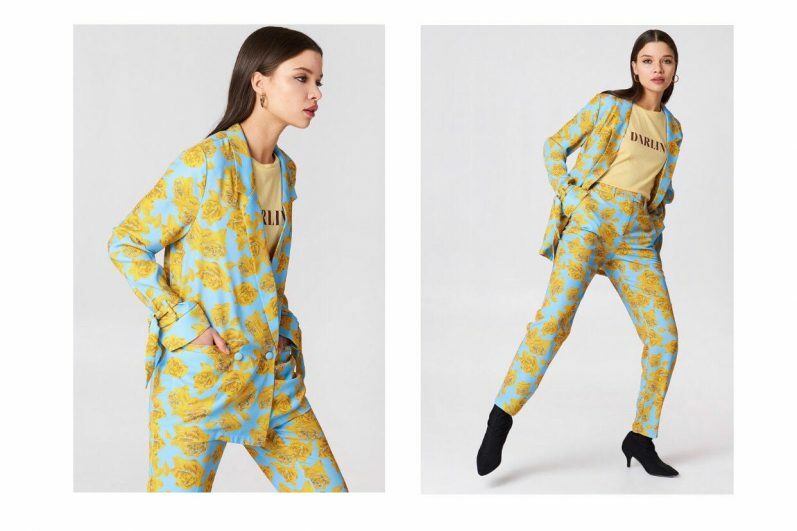 An array of colors (gold, floral, squares, lila such in Gucci) and shapes (crops, boot cut) with a highly defined waist (Mary Katrantzou) enlightens feminity. 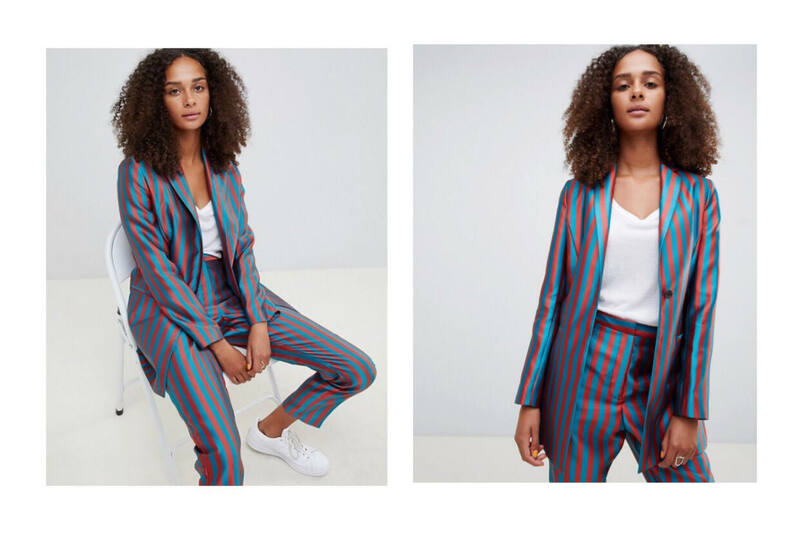 Jacquard and gold, as seen in Asos becomes a indispensable wardrobe piece. 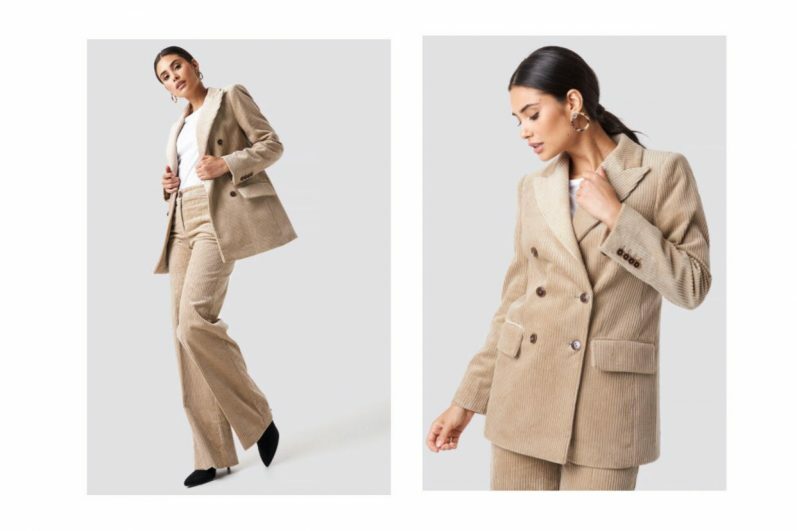 A tailored take on the season’s metallic focus, the Dashelle jacket in gold is cut to a slim-fitting, single-breasted silhouette with satin-faced peak lapels and tonal buttons. 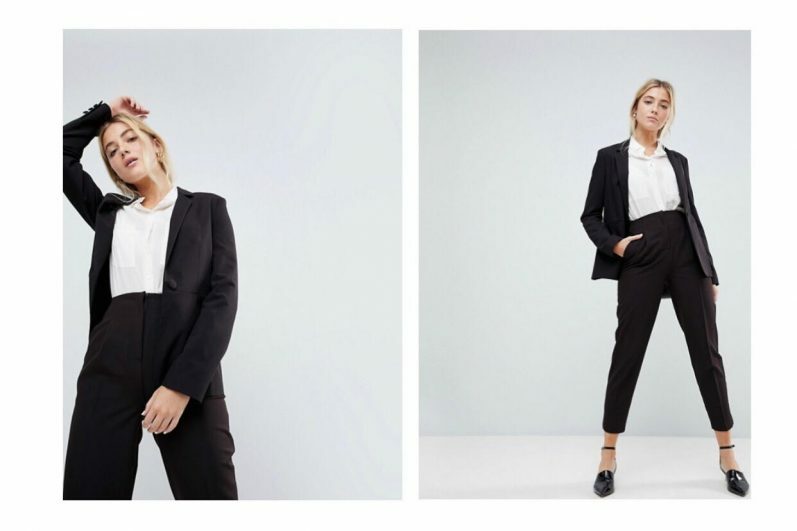 Style this piece draped over the shoulders, worn with a camisole top and tailored trousers for event dressing with a sartorial edge. 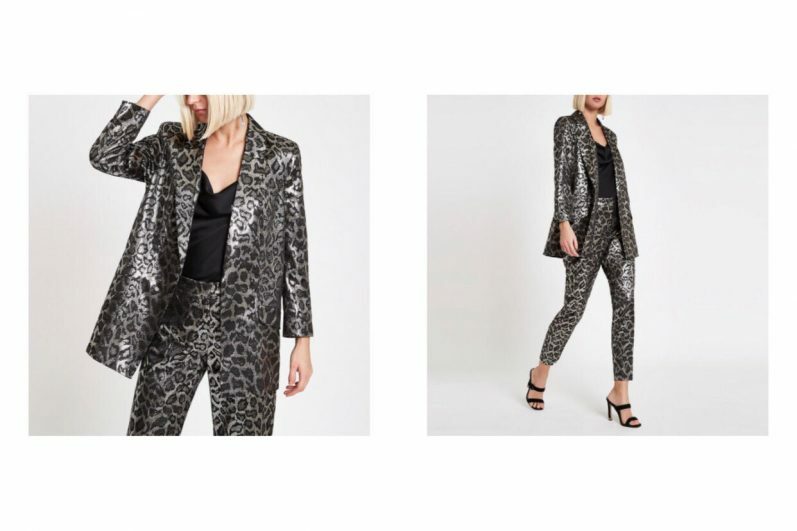 The satin pyjama suit, as your partywear piece, elongates your figure to make you shine the whole night. Search for silver, red and green (Fleur du mal). 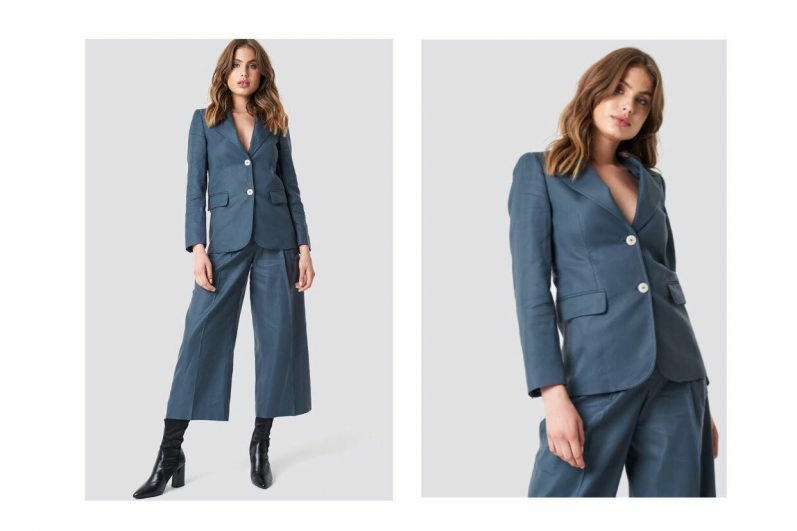 Mix and match the corduroy suit (browns and blues) for the week to weekend piece, a definite must for your winter wardrobe (Victoria, Victoria Beckham, Asos, Rosie Assoulin). 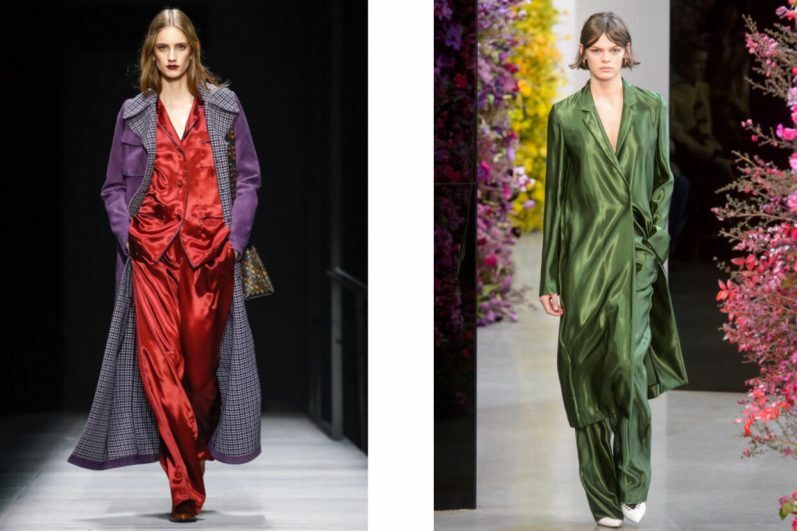 The velvet suit has been embraced by so many A-list stars on the red carpet this season. Look for Stine Goya, Alice+Olivia and Alexa Chung’s and wear them with shy-high heels.